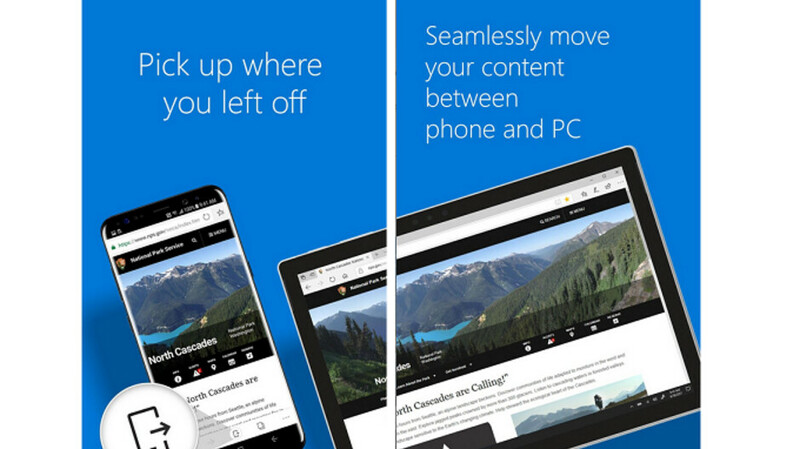 Changes that were being tested in the beta version of the Microsoft Edge browser for Android have apparently passed the test. In an update to version 42.0.0.2801 of the browser, found in the Google Play Store, users can create new Favorites folders and rearrange them. They can also press and hold buttons in the bottom bar to view quick actions, and swipe left or right to navigate through the pages in the tab history. The update also includes general bug fixes and performance improvements. And the changelist also asks Edge users if they have tried Visual Search. This feature employs a picture taken by the user with a tap of the camera icon in the search bar (see the screenshot at the bottom of this article), or with a photo taken from the camera roll. Visual Search comes up with information pertaining to the subject of the photo, including what it is and where it can be purchased (including the price) and more. The Visual Search tool is Microsoft's answer to Google Lens. To see if the update to Microsoft Edge has landed on your Android phone, open the Google Play Store app and click on the hamburger menu on the left side of the search bar. Tap on My apps & games and check the apps that have received updates. If you see that the Microsoft Edge app is among them, click on the box marked "Update." If Edge doesn't appear, check back in a couple of days.